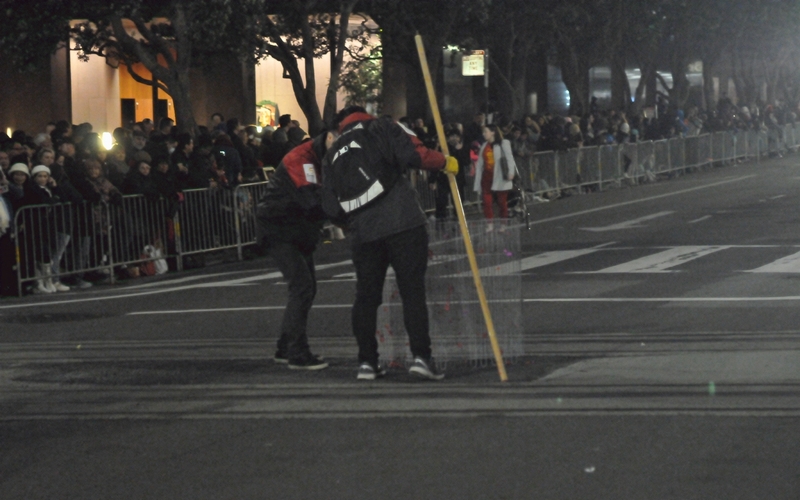 A wire screen was set up in the middle of the intersection of California Street and Kearny Street. The stick would later be used to hold a long string of firecrackers. 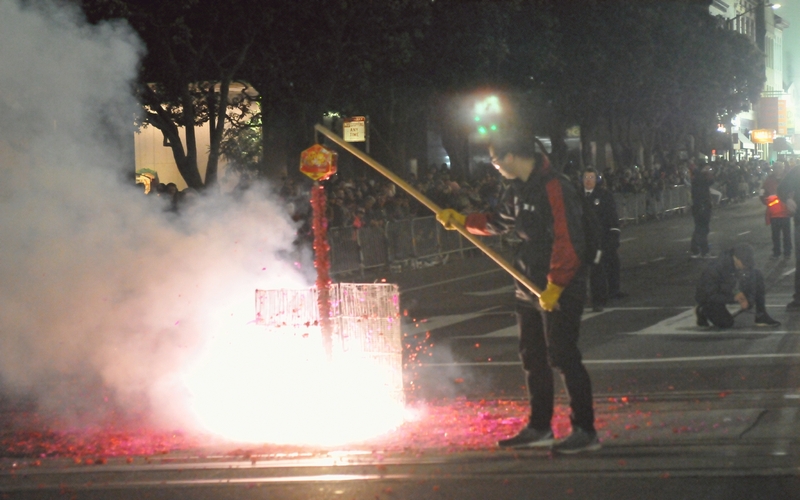 A man held a stout pole with a long string of fireworks attached to one end. 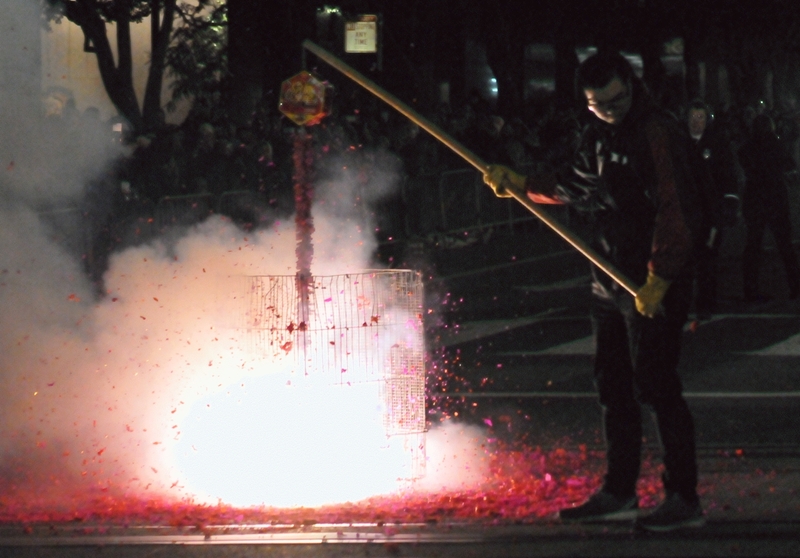 As the firecrackers exploded in rapid succession, the pole was slowly lowered to keep all the explosions contained inside the wire screen. The result of all the explosions was a growing pile of red litter surrounding the screen. 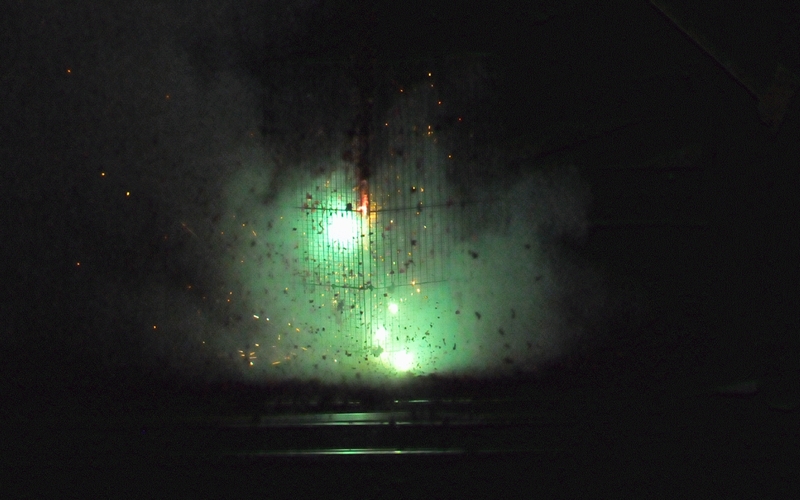 The explosions appeared to be white, but when photographed close with a fast shutter, they appeared green. The aftermath of the firecracker display. One person inspected the pole for damage. 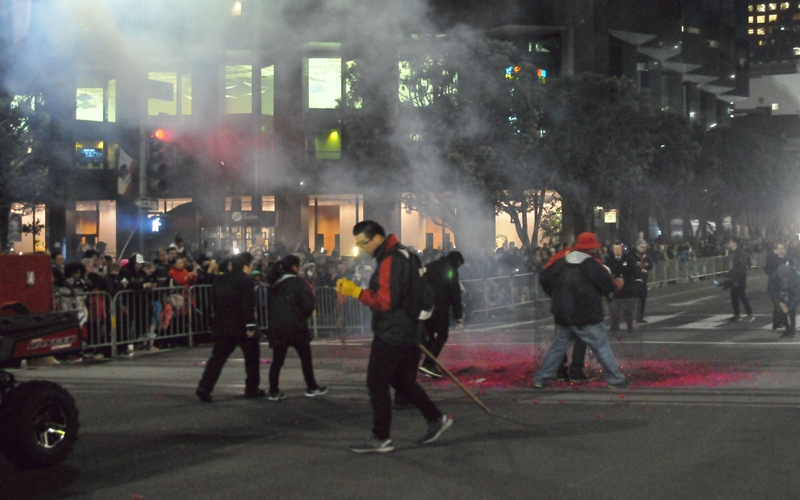 Others searched the red litter for unexploded firecrackers. And yet others broke down the screen to carry it to the next intersection. Over it all lay a haze of smoke.